To match up the growing needs of customers, we are engaged in providing PROTOTYPE PRINTED CIRCUIT BOARD PCB. This product is provided by us in different thickness and as per the gerber data. 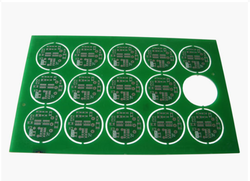 We can provide these PCBs within 24 hours. Neptune Enterprises have with us rich industry experience and knowledge in successfully meeting the demands of precision designed Single Layer PCB. 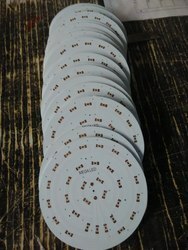 We manufacture single sided PCB at Rs. 0.30sqcm to Rs 0.45 per sqcm depending upon quantity and size of PCB. In this according to the requirement we provide finishing of tinning, HAL, laquer coating, OSP. If you want to get PCB reverted then we provide that also at very cheaper rate. We are immersed in offering an inclusive gamut of Single Layer PCB. Offered products are widely acclaimed by numerous numbers of customers due to its consistent, rugged construction and optimum functionality. These are compact in size and acclaimed for less maintenance cost, easy installation and user friendly application. Our organization is indulged in offering Single Sided PCB to our clients. These are made using quality tested raw materials and cutting edge technology. Our range of products is known for their excellent performance. We customize each Single Sided PCB to our client's requirement. Single sided PCBs have circuitry only on one side of the board. These are without plated through holes and can have components on one side as well as on both sides. Single side PCBs are most commonly used in consumer electronics.